Celebrate New You in 2017! 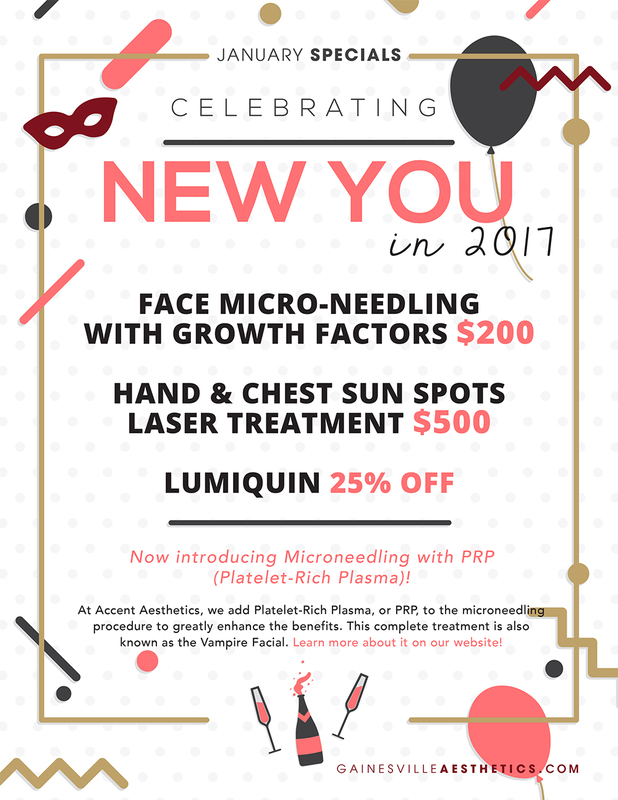 Now introducing Microneedling with PRP (Platelet-Rich Plasma)! At Accent Aesthetics, we add Platelet-Rich Plasma, or PRP, to the microneedling procedure to greatly enhance the benefits. This complete treatment is also known as the Vampire Facial.